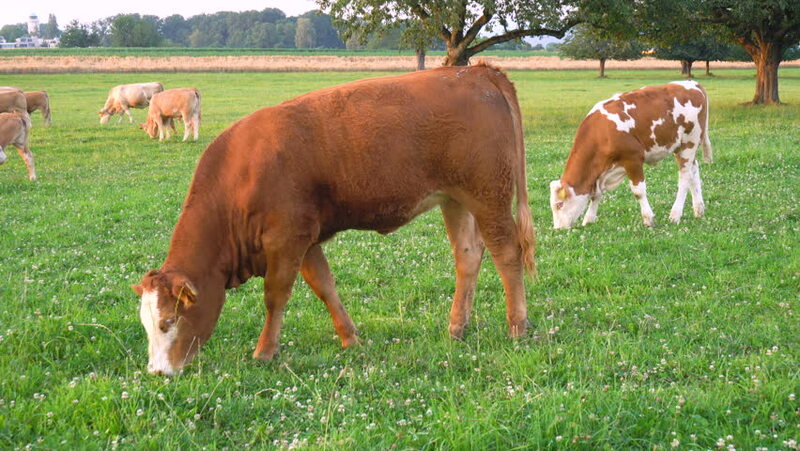 hd00:12Cows, cattle are animals with hooves are large pets are the most common. A modern outstanding in the subfamily Bovinae is the most widespread species in the genus Bos. sd00:14Two adult horses wearing fly collars grazing.